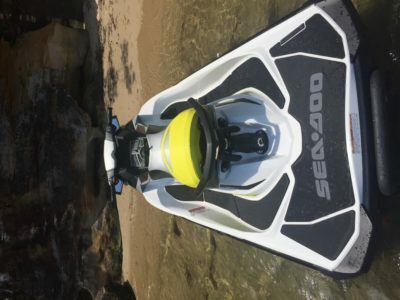 Home » Jetskis for Sale » Runabouts » 2015 SEA-DOO GTI WAKE 155 only 12 hours! Sea-Doo Wake 155 – jetski and trailer and accessories! This is the perfect possession, sadly it is not getting the use it deserves, and spends more time in the garage than on the water. 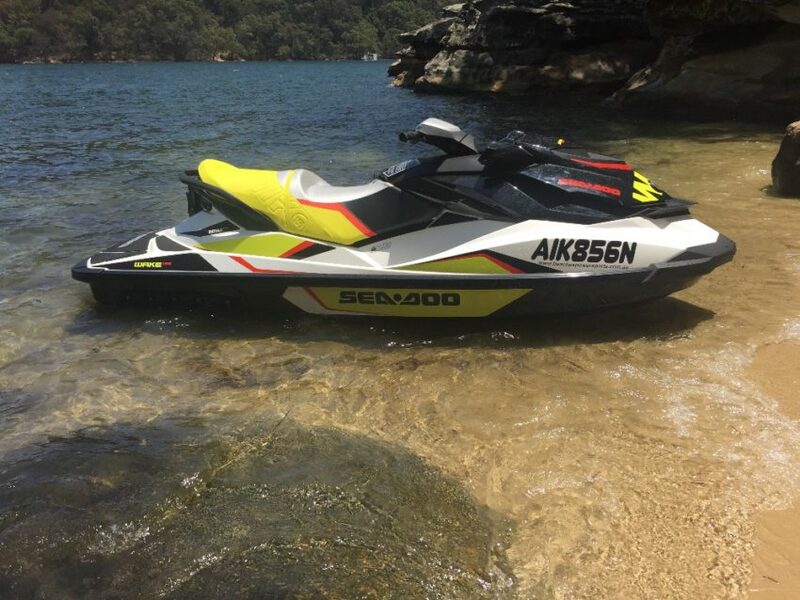 So, if youre looking to spend your days carving some wakes and pumping adrenaline this is the jet-ski for you. 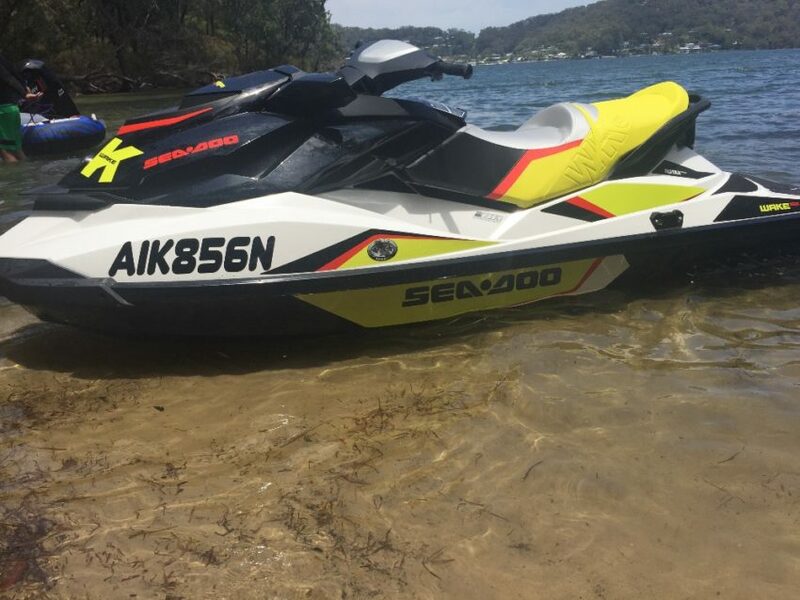 This model seats three people, includes a retractable ski pylon with a high tow point that keeps the rope out of the water, exclusive Ski mode, and a removable board rack. Purchased new in Oct 2015. It has only 12 hrs on the clock! Yes, only 12 hours on the clock !!! 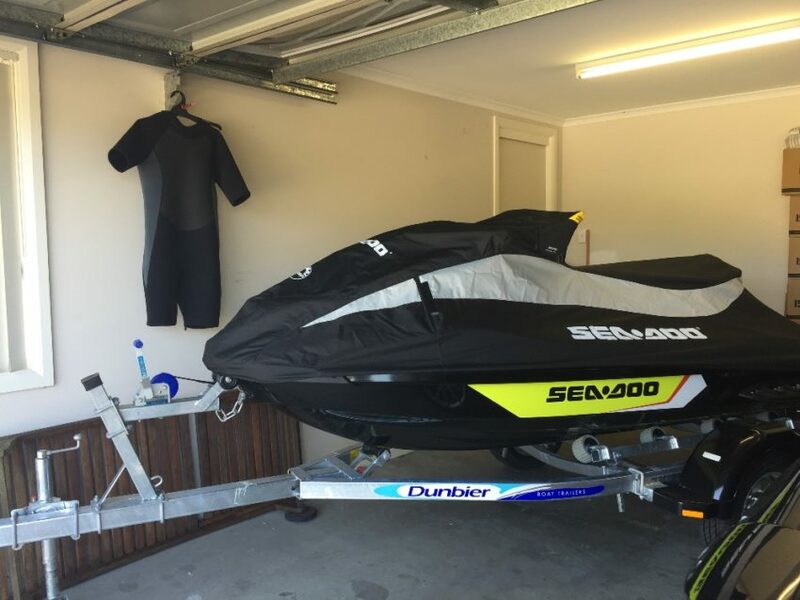 Comes with three Sea-Doo lifejackets and 2 x kids ones (Boating Camping Fishing purchase), and full cover. Full service, sits on Dunbier Boat Trailer purchased new in Oct 2015. New battery April 2017 now with charger attachment (for those winter months). Charger included. Always garaged, lives in the garage more than it does on the water – regrettably. Meticulously looked after, nothing to spend, just hook up & enjoy !!! Regretful Sale Due to not getting full use of it. 12V adaptor in water-tight console charge the iPhone or iPod whilst on the go!